I got a comment at some point last week on this blog (can’t remember on which post) that basically said, "run, don’t walk, to your local music store and get the new Beatles album, Love". I didn’t run and it took me a week, but I followed those instructions yesterday on the way home from work. I ripped the CD onto my digital music system (it would be so much easier if The Beatles were available digitally). And by dinner we were listening as a family to the new record. And we listened all the way through to the end while we finished off the gingerbread house. I’ll say this about The Beatles – we knew every song and sang along with most of them. That’s from a 45 year old indie rock fan to a 10 year old Red Hot Chili Peppers fanatic. The record – well its a great listen. But some of the greatest parts of the songs are missing. 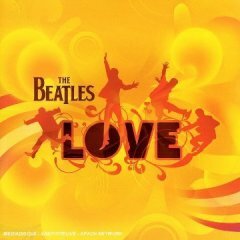 "She loves you, yeah, yeah, yeah" is missing from the end of All You Need Is Love, for example. Jessica was super bummed about that. If you are looking for a reason to put The Beatles back in heavy rotation, this is a good one. Some will enjoy the new production. Others will hate it. You can check the comments on Amazon to see the discussion. You can also pick up the CD while you are at it if you are so inclined. Here’s one of my favorite Beatles songs, Octupus’s Garden, from the Love record. This will give you a good sense of what the record is all about.